One day I got called into a meeting with Peter Holmes who was employed to find new products for the Europress range of companies. 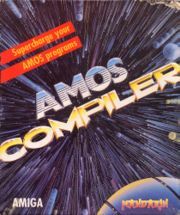 He had invited 2 guys over from Paris that he had worked with before during his time at Argus Software: Jacques Fleurance and Frederic Pinlet who had a company called Jawx which represented different French programmers. Peter invited me into the meeting to hear about one of the products they were involved in. 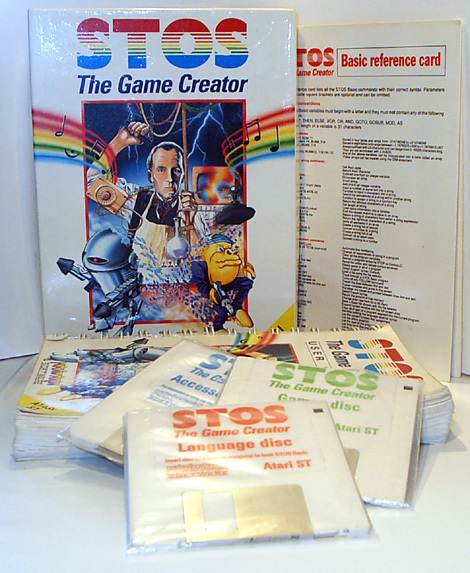 It was called STOS BASIC for the Atari ST.
STOS BASIC had sold a couple of thousand units in France in some bland, blue packaging. 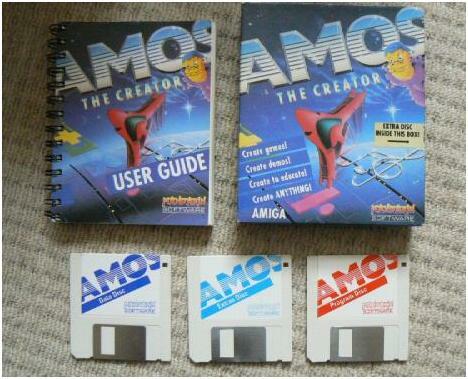 It was a BASIC programming language with a range of commands to move sprites round the screen, add music and more. This made it ideal for creating games. Peter and I looked at each other and we knew what to do: market STOS BASIC as a games creation tool, not as a programming language that had commands for writing games. 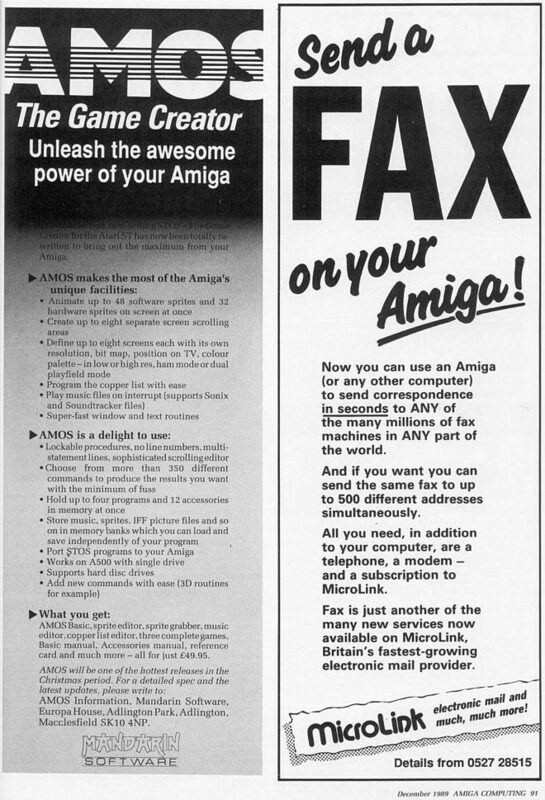 What I was learning to do was to write the sales copy for the adverts and back of the box in my head, and from that compelling copy, add features to the final product to fulfil that promise. Richard also designed a rolling demo on disk which we could mail out to stores so they could show off STOS’s abilities to their customers. 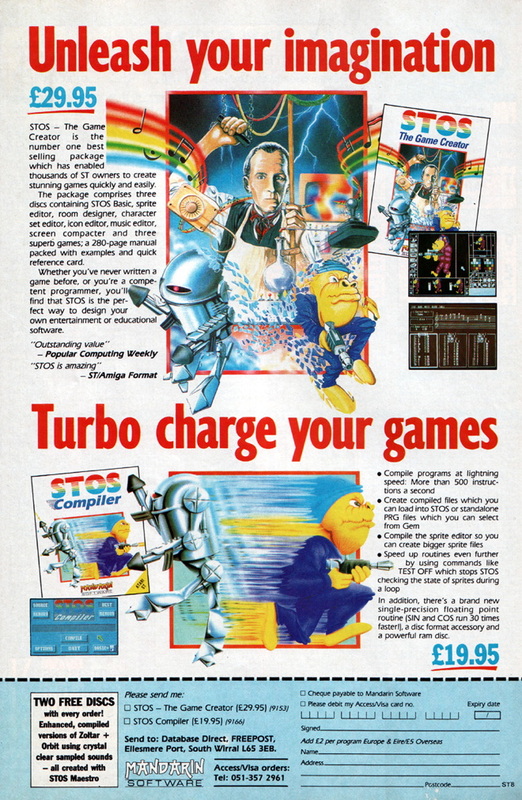 STOS launched in 1988 for £29.95 (US$45) and was a terrific success from launch. By now I had an Apple Macintosh SE which I brought into work each day. I also bought an early CDROM drive which cost about $800. I had bought a number of public domain programs on CD from libraries in the States so I was aware of the power of public domain. 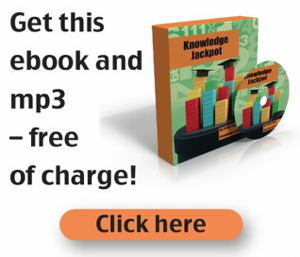 Richard found a woman in the UK called Pat Winstanley and with our encouragement she set up a public domain library for STOS programs which we promoted in the product. Later this library was taken over by Sandra Sharkey. I created a registration form for STOS to go in every box, and offered a free newsletter to everyone who returned the card. We got thousands of cards back. I created several issues of an A5 STOS Club newsletter using PageMaker on my Mac, and included graphics from various Mac games and demos to make the newsletter more visual: images from Dark Castle, an animated comic called Shatter, and so on. One of STOS buyers rang me up, we got chatting, he started talking with Richard, and the end result was a very nice painting program written in STOS called STOS Paint. I wrote a letter to our registered owners and said, if you buy STOS Compiler by mail order directly from us, we would also send them STOS Paint free of charge. I wanted to get more mileage out of STOS so Richard asked Dave McLachlan to produce a set of 600 sprites we could sell, and we called that STOS Sprites 600. 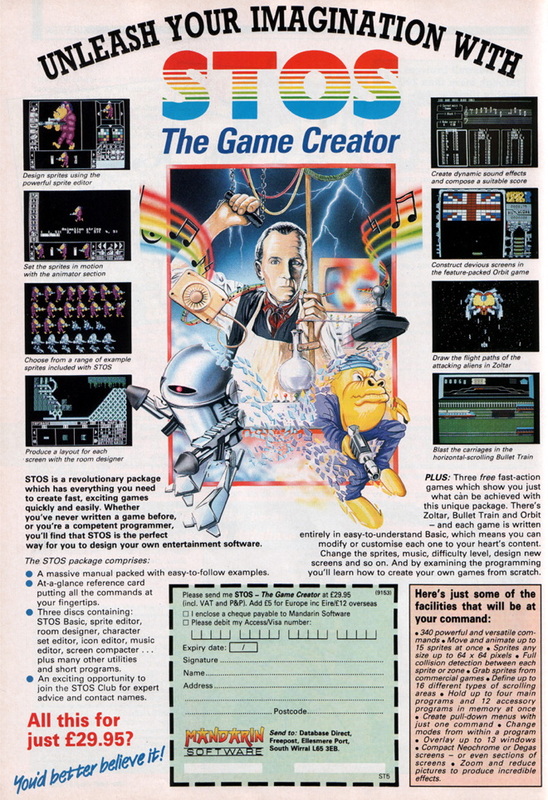 We came up with the idea of a competition called The 1989 Gameswriter Of The Year Award with a £5,000 (US$7,500) prize to promote STOS further and encourage owners to create great games and send them in to us. The winning games would be published by Mandarin Software. This gave us some great PR. Richard and his team chose the eventual winner: Cartoon Capers by Simon Cook and we got press coverage for this, which helped build further awareness, and sales, for STOS. 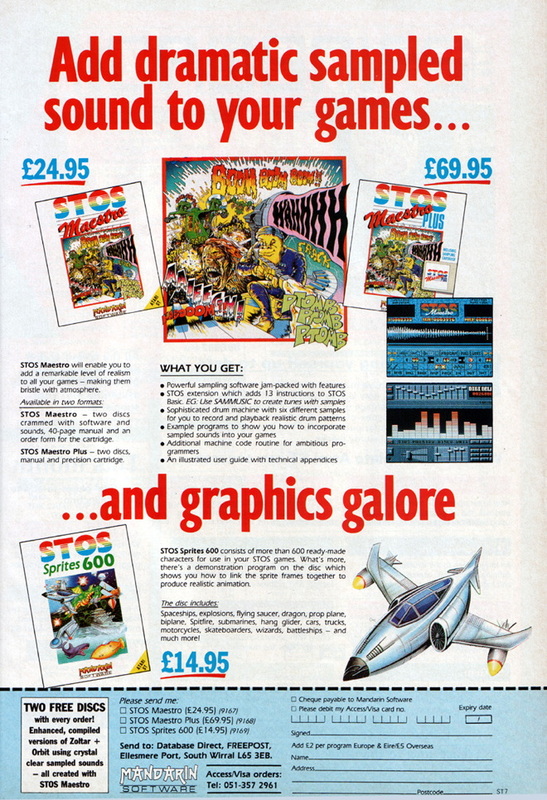 The runners-up: Mouthtrap, Skate Tribe, Yomo and Sky Strike (by Aaron Fothergill), were sold in a compilation called Games Galore for £19.95, and Richard also bundled with that a utility called STOS Squasher which dramatically reduced the size of the graphics in a STOS program. “Darn quality games! !” according to one guy on the web, and another forum poster on the same page said “Skystrike – what a cracking game! Yomo – difficult to pick up but impossibly enjoyable. 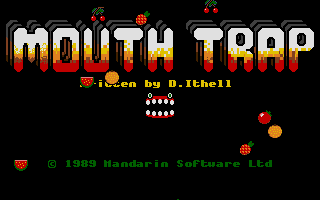 Mouthtrap great fun and lovely graphics. Skatetribe – hmmm…. bit too easy. Lovely music though” – which is nice to hear. I got a phone call one day from Bob Katz who handled the marketing at Atari. 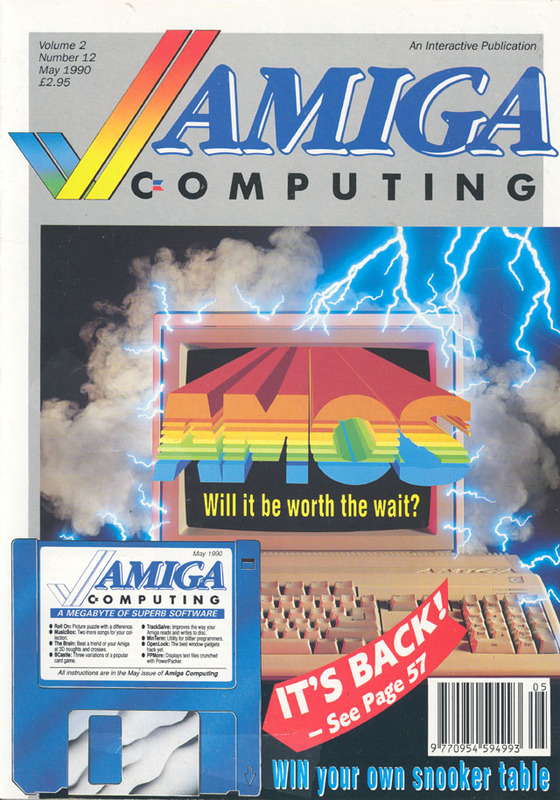 He asked if they could bundle STOS with every Atari ST for a big promotion they were doing. They weren’t offering much money per computer sold, but after talking with Meash and Diane O’Brien, the sales director, we gave the go-ahead: more people getting hold of STOS meant more sales of the Compiler and other add-on products. 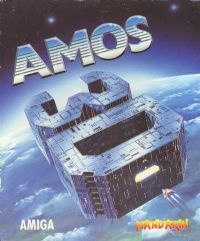 For the packaging, I drew a sketch of the word AMOS at an angle, bursting over the edges of the box, which I’d seen on other products and in some ads, and felt it would make AMOS look vibrant and larger than life. I added some musical symbols, the + x – and divide signs, and a wrote a sidenote to the designer to include the purple gorilla as my drawing skills don’t stretch to gorillas! The User Guide ran to 290 pages, put together by Richard and a guy called Stephen who wrote most of the words. It was very well received. 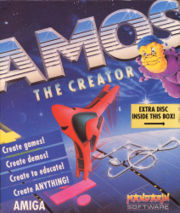 AMOS came with a number of tools, including a map editor (to make fancy scrolling backgrounds); a sprite editor; and more. It sold for £49.95 ($75). 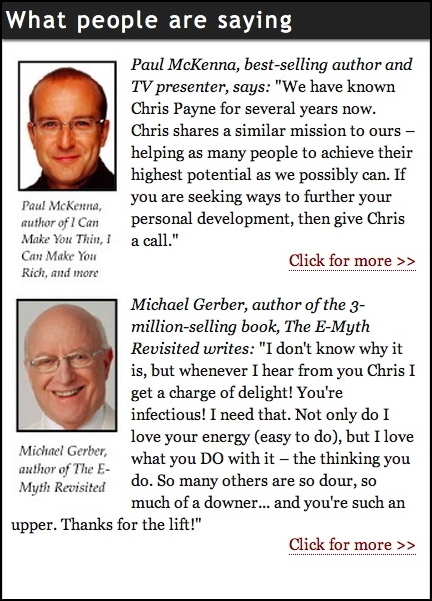 ..and we got some terrific reviews in various magazines which helped propel sales. 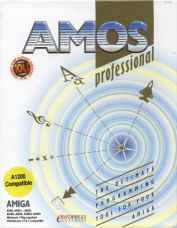 AMOS Professional sold for £69.95. 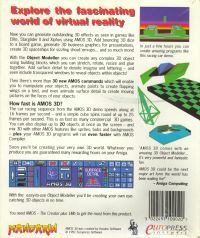 According to this page, 40,000 copies of AMOS were eventually sold worldwide. Some programmers from a company called Voodoo Software in Oxford came to see us about a 3D game they were producing for the Atari ST and Amiga. 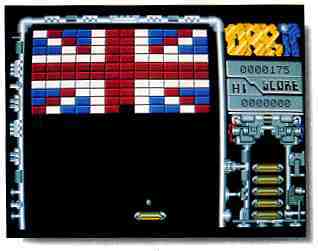 They had had a game of theirs called Xiphos published by Electronic Zoo around November 1990. Richard and I talked with them and out of that they created a 3D plugin for STOS which we marketed as STOS and AMOS 3D. I remember the programmers showing me a demo of the software in action and I was less than impressed. Then Richard sat down with it and wrote some amazing demos for it. That was one of Richard’s strengths: he knew how to create software which would wow people. We posted the demos on disk to hundreds of computer shops around the UK. Well, that was a trip down memory lane, writing all that and digging out all the photos! Richard Vanner was so creative, inventive, enthusiastic and far more that it was inevitable he’d go on to great things. He set up The Games Creators with a guy called Lee Bamber and published Dark Basic for PC. He has created games for Facebook, and the game iDare for the iPhone. Francois Lionet went on to set up ClickTeam, and they now publish The Game Factory 2, Multimedia Fusion 2 and more for PC. He and I had several delightful Skype calls in 2014. 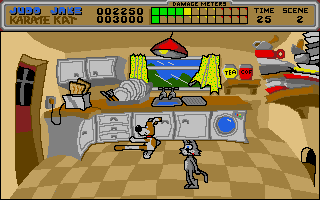 Dave McLachlan moved to California to do graphics for computer games there. Darren Ithell came to work for Europress full time, then went off and founded an internet business selling mobile phones. Aaron Fothergill, who created some great demos and routines for STOS, and who I talked to many times during my time at Europress, went on to create the first game for the Apple Mac which made use of the iSight camera. We exchanged emails a few years ago. It was lovely to hear from him after 20 years!